Whether you had a scheduled or unplanned cesarean section, the recovery may be a bit of a shock to you. There are a couple of things that you may not have heard about that can help ease your recovery and get you back on your feet in no time after surgery. These tips come from other mothers who have been down that road before. Don't laugh, but so many moms stop taking their pain medications too early and they wind up in much more pain. It can become a really vicious cycle. So take your pain medications according to the clock and not how you feel for a few days. This helps to prevent "chasing the pain" and never really finding relief. Once the first few days have passed, you can slowly alter your pain medication schedule to ease away from narcotics and on to other medications until you're able to go medication free. Believe it or not, getting up as soon as you can and moving around, even if it's just a little bit, can help you recover more quickly. It can help you feel better physically as well as emotionally. Just be sure that you get up with someone else's help the first few times, as you are going to be pretty shaky. Once you're able to take short trips to the bathroom, consider walking around the floor at the hospital. These laps are typically going to be slow going, but it's not the speed that you're looking for, simply the movement. Once you're home and recovering there, be sure to plan ahead. Plan to be in one area that has a basket with everything you'll need: your phone, medications, a bottle of water, book, TV remote, etc. When you're sleeping, sleep near your baby so you don't have to go as far to get to him or her. You can also try to have meals brought to you that can be made easily. Frozen dinners work well if you're alone and don't have help, as do sandwiches. Remember, eating nutritiously will also help you recover. Use the pillow to splint your incision when standing for the first few days, or when you cough or laugh. This can reduce the pain and help you feel more stable. Later the pillow can be useful to help with positioning the baby for breastfeeding. Remember, you've just had a baby and major surgery. You need to increase your activity levels very slowly over the course of the next 6 to 8 weeks. Don't pick up anything heavier than your baby. And don't start exercising until you get the all clear from your surgeon. Also remember that even though your baby was born via your abdomen, you will still bleed vaginally. If you do too much sometimes you will notice an increase in the amount of bleeding. This is a plastic sleeve that covers your lower leg and squeezes your legs to help the blood flood return faster to the heart. This is frequently used after a c-section to help prevent deep vein thrombosis (DVT). If you are up and moving around, these can usually be discontinued. Don't scoff at them. Even if you had time to plan ahead for cesarean recovery, something may catch you off guard. Feel free to ask for help and support. Sometimes a friendly face and a listening ear can go a long way towards making your recovery better. 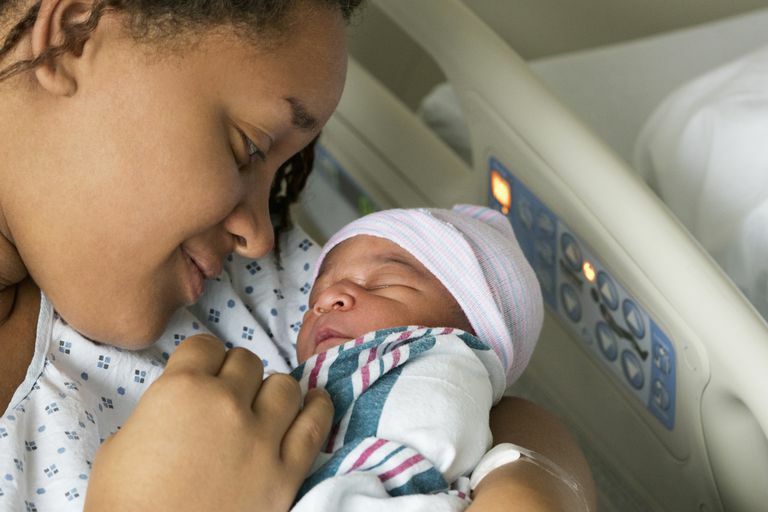 You should also ensure that you keep up with your postpartum visits that are scheduled to help ensure that you are healing correctly after the surgery. Having a cesarean can impact future pregnancies, but a healthy recovery can help minimize that process.